We are happy to report that we see the progress and we are quite pleased with the way things are unfolding. The mess is not yet cleaned up and the changes coming are not going to be that flowing, in spite of how it looks. There are still those resources and forces that have ideas that do not align with what you're working to accomplish. The major issues are now being dealt with; however, the way in which things transition and how the flow of funds is to occur has not yet been fully resolved. There are legal issues and then there are logistics and there are a number of systems that must be involved and those are to yet be hammered out. Still, the work is progressing and the times are bringing forth the mechanics and the substance directives that are needed to implement the Plan. And do not forget; there is a Plan. That plan has always been in place even before the globe knew there was anything like what you call the Big "O". I am also here to tell you that we can see the time line shortening, not done yet, but much shorter. May you continue to hold your Hearts high….P.. Finally the doorways are being kicked open to begin clearing the runway for a smoother landing . This runway has been littered with hidden IED's throughout the descending process. Avoiding these obstacles has been dangerous and there have been malicious attempts to sabotage Humanity's promised "New Age". I, in great reverence, salute these tireless Warriors of the Light. This journey has taken us to many challenging places within ourselves. But instead of growing 'old' from all of this, in the best of all worlds, we have 'Grown UP', taking hold of our mind, our thoughts, and our ability to be positive to make lemonade out of lemons. THE MESSAGE TODAY IS DIRECTED AT THE FEW THAT STILL DO NOT UNDERSTAND WHAT IT MEANS TO DO EVERYTHING WITH NOTHING. HOW MANY TIMES IN HISTORY HAVE WE WITNESSED SOME INDIVIDUALS THAT HAVE MANAGED TO SURMOUNT THE ODDS AND MAKE SOMETHING WORK. A FEW, RIGHT? HOW DID THEY DO IT? THEY HAD LITTLE OR NO SUPPORT. THEY HAD MANY POINTING FINGERS AT THEM AND LAUGHING WHILE THEY STRUGGLED. THEY WERE RIDICULED OR WORSE WHEN NOTHING HAPPENED AS THEY SAID IT WOULD. FROM INVENTIONS TO FUNDINGS TO A WORKING DIET PLAN, IF SOMETHING WENT WRONG AND IT WAS DELAYED OR DID NOT WORK, THE RIDICULE AND NAY SAYERS OF THE PLANET HAD, AND STILL DO, A FIELD DAY. HOWEVER, THESE CHALLENGES ARE EXPECTED AND THE NEGATIVITY THAT COMES OUT OF PEOPLE WHEN SOMETHING DOES NOT QUITE GO ACCORDING TO PLAN IS A TAD BETTER THAN LOPPING OF HANDS AND FEET AS WAS THE CASE IN OLDER DAYS, SO THAT IS A POSITIVE THING. WORDS AND EMOTIONS ON THE INTERNET ARE FAR EASIER TO DEAL WITH. THIS IS WHERE I ASK ABOUT THE ATTRIBUTES OF THE ONES THAT SUCCEED. I TEND TO THINK IT IS PATIENCE, PERSEVERANCE, AND HARD WORK. THESE FOUNDATIONS GIVE WHAT IS NEEDED TO SUCCEED, AND THOSE THAT SUBSCRIBE TO THESE PRECEPTS GENERALLY SUCCEED. THOSE THAT DO NOT SUBSCRIBE TO ANY OF THESE QUALITIES DO NOT FARE AS WELL, AND USUALLY DO NOT SUCCEED, BUT THEY DO FIND A VOICE IN DESCRIBING EVERYTHING THAT WENT WRONG AND WHY IT IS IMPOSSIBLE TO DO. THIS USUALLY CARRIES OVER TO OTHERS AS THEY ARE PAINTED WITH THEIR OWN BRUSH. THIS IS CLEARLY EVIDENCED BY ARMCHAIR GENERALS. THESE MOSTLY WELL MEANING FOLK, SUPPORT SOMETHING THEY SEE AS HAVING A GOOD CHANCE OF SUCCESS, AND GIVEN A FEW SETBACKS OR AN OVERLY LONG TIME TO SEE SUCCESS, THEY TURN AND BEGIN THE LABORIOUS PROCESS OF DETACHING THEMSELVES FROM THEIR PREVIOUSLY SUPPORTED ITEM, AND PROVIDING CLEAR EVIDENCE THAT IT WAS REALLY NOT GOING TO SUCCEED FOR VARIOUS REASONS. ALL FROM THE BATTLEGROUND OF THEIR ARMCHAIR. AND THEY MAKE THEIR POSITION KNOWN VERY WELL BY BLAMING AND DECRYING THAT WHICH DID NOT SUCCEED. THIS IS JUST HUMAN NATURE AND TO BE UNDERSTOOD, NOT VILIFIED. PEOPLE LOVE SUCCESS, AND HATE LOSING. BUT HOW CAN YOU HAVE SUCCESS WITHOUT FAILURE? FAILURE IS TO BE EMBRACED BECAUSE IT ELIMINATES THINGS THAT DO NOT WORK, AND POINT YOU IN THE RIGHT DIRECTION TO SUCCESS. IT MAY TAKE 5 MINUTES OR 5 YEARS, BUT THE PROCESS OF FAILURE WORKS WELL FOR THE INEVITABLE SUCCESS. LOOK AT HOW MANY LIGHTBULBS EDISON WENT THROUGH TO MAKE ONE THAT WORKED. HOW MANY DECRIED HIM AS HE FAILED TIME AND AGAIN? SO TO ALL THE NAY SAYERS OUT THERE…BE GENTLE. IF THE SHOE WERE ON THE OTHER FOOT, WHAT WOULD YOU FEEL IF YOU HAD YOURSELF ATTACKING YOU? I PREFACE WHAT I AM ABOUT TO SAY WITH THE ABOVE, AND ANSWER THE MOST VITRIOLIC COMMENT FROM ONE FELLOW BY THE NAME OF GB. THIS WILL BE ASSUREDLY THE LAST TIME I ADDRESS ANYONE OF THIS BENT FOR “REAL” OBSERVATION AND “REAL” KNOWLEDGE OF SOMETHING. You are starting to become a sore among the dinar community. . You used to speak with decent logic and spiritual roots of sense.. but now it's pretty obvious how much of a CON you really are.. you share no CONTENT but constant rhetoric about how these ppl need money.. it's so obvious how scamming you are. People are really suffering to hold on and you expect them to give them money they don't have to feed your lies? Then you have the audacity to say in love and light? Lol zap you are disgraced. You are a fraud and I hope your taking care of once this is all said and done.. your stories are getting more comical each time you post.. just know most of us are fully aware of your intentions. . So get a life and go scam the real CONS.. not innocent people. . Everytime I see you have posted I can almost predict what your going to say.. and it's always right on.. grow up she'd your BS somewhere elseSO…IN THE FIRST PLACE, MY FOCUS IS NOT ON DINARS, OR ANY CURRENCY. I COULD NOT CARE LESS ABOUT CURRENCY. I HAVE NEVER BEEN A DINAR GUY OR GURU, SO YOUR VERY FIRST OPENING SALVO GOES NOWHERE MY DEAR GENERAL. I SPOKE WITH LOGIC AND COMMON SENSE AND I STILL DO. NOTHING HAS CHANGED. YOU LOOK TO ME FOR CONTENT. I GIVE YOU CONTENT, BUT NOT ON DINAR. I GIVE YOU CONTENT ON PEOPLE IN NEED. THAT IS NOT A CON AND CAN NOT BE. TELLING YOU THAT PEOPLE NEED MONEY IS NOT A SCAM. THOSE THAT GIVE AND HELP ARE PEOPLE THAT UNDERSTAND WHAT IT IS LIKE TO BE WITHOUT MONEY. THOSE THAT ARE WELL OFF GENERALLY DO NOT GIVE A HELPING HAND TO ANYBODY. THE ONES THAT ARE FAMILIAR WITH EATING KETCHUP SANDWICHES ALWAYS GIVE A HELPING HAND IF THEY CAN. THESE PEOPLE ARE THE ONES THAT HAVE HELPED SUSTAIN OUR EFFORTS AND KEPT PEOPLE ALIVE, WORKING, AND STABLE. WITHOUT THEM…OH BOY. AND WHAT LIES DO I FEED PEOPLE? THAT OTHER PEOPLE ARE IN NEED? THOSE ARE NOT LIES, AND I HAVE PROVED IT SEVERAL TIMES IN GIVING OUT THE EMAILS (WITH PERMISSION) OF THOSE THAT HAVE BEEN HELPED BY ME (BY ALL OF YOU). WHAT COMES IN, GOES OUT RIGHT AWAY. I KEEP THE RECORDS OF THOSE THAT HELPED. THESE RECORDS WILL FORM PART OF THE HISTORICAL ARCHIVE OF ALL THAT SUPPORTED THE VERY BEGINNING OF OUR GLOBAL EFFORT. THEY ARE ALSO GOING TO RECEIVE SOMETHING BACK FOR THEIR HELP, AND THIS IS SOMETHING I ALWAYS WANTED TO DO, AND I HAVE MADE PROVISIONS TO PROVIDE FOR SOMETHING BACK TO THEM. I NEVER PROMISED ANYTHING, BUT THIS IS MY INTENT AND I WILL DO IT. AND WHAT DO YOU MEAN AUDACITY TO SAY IN LOVE AND LIGHT? IS THIS A PROPRIETARY THING THAT YOU OWN AND I CAN NOT SAY? WHEN I SAY IT, I MEAN IT FROM THE ROOTS OF MY BEING. I AM NOT A FRAUD. IT IS EASY FOR YOU TO STATE THIS, BUT WHAT PROOF OTHER THAN YOUR OPINION IS PRESENT? HAVE YOU ANY IDEA OF WHAT YOU ACTUALLY MEAN? HOW ARE MY STORIES GETTING MORE COMICAL? DO YOU MEAN DR. HENRY PLASKATY’S WIFE, BARBARA, DYING A FEW DAYS AGO? HOW FUNNY. AND WHAT INTENTIONS DO I HAVE THAT YOU KNOW ABOUT. SAYING “just know most of us are fully aware of your intentions” MEANS THAT YOU KNOW ME, KNOW WHAT I DO, HAVE SEEN WHAT I DO AND HOW I DO IT. PROBLEM IS…I HAVE NOT SEEN YOU HERE. SO “GETTING A LIFE AND GOING OUT TO SCAM REAL CONS, NOT INNOCENT PEOPLE” JUST DOES NOT WASH. AND AS FAR AS PREDICTING WHAT I WILL SAY EVERY TIME I POST IS A BIT ON THE DIVINE SIDE, SO YOUR CONNECTION MUST BE VERY STRONG AS IS YOUR KIND AND COMPASSIONATE UNDERSTANDING OF MY CIRCUMSTANCE AND WORK. SO GROWING UP AND SHEDDING MY “BS” SOMEWHERE ELSE IS AN INTERESTING VIEW, AND I WOULD ASK YOU SIMPLY GROW UP HOW? AND WHERE SHOULD I GO TO SHED MY “BS”? SOUNDS NASTY. IF ANY OF THIS RESONATES AND MAKES SENSE, GREAT. IF NOT, SNUFFLES IS ON STANDBY TO COME OVER AND HAVE A BEER AND EXPLAIN IT TO YOU IN PERSON. OR RATHER PIG TO PERSON. THEY LIKE BEER BY THE WAY. GOT A BEER FRIDGE? Hi Zap, hope all is going well. I am hoping the funds came yesterday for you. Am thinking how much of a relief you will sense when they are actually in hand, and not still waiting. It will be a relief on one hand, and then the workload will increase drastically to getting funds out to critical cases and project fundings. With all the work you are having to do, I hope you are blessed greatly for your part in helping so many people. Is there anything you can tell me as far as how soon you can get some critical relief(immediate relief funds) out to some of us that are in a very bad and tight situation? Am hoping it can come soon, and goes smoothly for you to do that. Is there info you will require to decide how much help you can provide? Am very happy and anxious to get some help, but also want you to know, that when things change for me for the better, which there is definite possibilities that they will, that whatever funds you can send me for immediate relief, that I will look for others in my area that I know are in dire straits, and use that money to help them as well. I look at what you can help me with as a blessing to pass on to help others with. Hope you will have time to be able to get back to me soon, and hope funds will be available shortly. THANKS JIM. YES ALL IS GOING VERY WELL. IN THE LAST WEEK, THE ARRESTS IN HSBC HAVE TURNED THE TABLES, BUT HERE IS AN INSIGHT INTO THE DEPTH OF THE TENTACLES OF THE CABAL THAT IS DESPERATELY TRYING TO STOP US FROM SUCCEEDING. THE NEW BANKERS INSTALLED IN PLACE OF THE ONES ARRESTED ATTEMPTED TO DO THE SWIFT TRANSMISSION DOZENS OF TIMES AND ALL ATTEMPTS SEEMINGLY FAILED. THE IT GUYS WERE BROUGHT IN TO CHECK THE SYSTEMS, AND THEY ALL APPEARED OK, BUT STILL THE RECEIVING BANK DID NOT RECEIVE THE TRANSMISSION. VERY STRANGE. FINALLY, ONE OF THE ATTEMPTS ARRIVED A DAY LATE. SWIFTs NEVER ARRIVE A DAY LATE. SO ON THURSDAY IT WAS CONFIRMED BY THE RECEIVING BANK THAT IT CAME IN. HALLELUIAH! SUCCESS AT LAST. BUT, THE SWIFT HAS TO BE RE-CONFIRMED TO BE VALID AND RELEASE THE FUNDS. THIS TAKES PLACE BY ONE OF TWO WAYS. ANOTHER SWIFT TRANSMISSION AND/OR BY AN EMAIL FROM ONE BANKER TO ANOTHER WITH THE COPY OF THE SWIFT THAT WAS SENT AND RECEIVED. THIS ESTABLISHES THE BANK OFFICER TO BANK OFFICER COMMUNICATION LEGALLY (OTHERWISE IT IS ILLEGAL AND TERMED AS SOLICITATION), AND THE SWIFT IS CONFIRMED. THE SENDING BANKERS TRIED OVER A 100 TIMES TO SEND THE EMAIL. THE BANK SERVER BLOCKED THE EMAIL FROM BEING SENT. VERY STRANGE AGAIN. THE IT GUYS WERE AGAIN CALLED IN TO CHECK EVERYTHING, BUT STILL NO GO. THEY CALLED IN A PANIC AND ASKED WHAT TO DO. THE ANSWER WAS SIMPLE, AND I TOLD THEM TO SEND IT BY BANK FAX INSTEAD. THEY TRIED AND THE FAX MACHINE WOULD NOT ESTABLISH A LINE WITH THE BANK FAX ON THE OTHER END. VERY STRANGE. THEY CALLED AGAIN IN A PANIC AND ASKED WHAT TO DO NOW. THE ANSWER AGAIN WAS SIMPLE. GO TO ANY BANK FAX AND SEND IT FROM THERE, BECAUSE AS LONG AS IT COMES FROM THE BANK SYSTEM, IT IS DEEMED VALID. THEY DID. THE FAX CAME THROUGH THIS MORNING. SO THIS PARTICULAR SEQUENCE IS DONE, AND WE HAVE SUCCESS IN THE RELEASE OF THE PRIMARY FUNDS. WHAT DOES THIS MEAN TO YOU AND EVERYBODY ELSE? THIS MEANS THAT WE SHALL BE RECEIVING OUR FUNDS IN A FEW MORE DAYS, AND THEN WE CAN CONSUMMATE THE PLAN TO GET THE RELIEF AND EDUCATION FOUNDATION ONLINE, AND WORKING TO PROVIDE SOME VERY CRITICAL HELP BEFORE CHRISTMAS. ESPECIALLY FOR HENRY’S KIDNEY TRANSPLANT AND MARY’S BONE MARROW TRANSPLANT. BECAUSE OF THE DELAYS IN GETTING THE FUNDS RELEASED, WE ARE SKINNY ON TIME TO GET EVERYTHING ACCOMPLISHED IN TIME FOR CHRISTMAS AND WE MAY GO PAST THE HOLIDAYS FOR THE FULL BLOWN ACTIVITIES WE PLAN, BUT AT LEAST YOU KNOW THAT IT WILL HAPPEN NOW. I WILL DO MY BEST TO GET ‘ER DONE. WHEN THESE FUNDS ARE AVAILABLE, AND YOU RECEIVE THEM, I EXPECT NO LESS THAN YOU HELPING OTHERS ON YOUR LIST. PAYING IT FORWARD IS WHAT WE DO, AND WE EMBODY THIS QUALITY. I KEEP SAYING IT IS NO LONGER ABOUT THE MONEY, BUT PEOPLE. THIS REMAINS AS TRUE TODAY AS WHEN I FIRST SAID IT. AS FAR AS ME BEING BLESSED FOR HELPING SO MANY PEOPLE…I ALREADY AM. THE JOY AND RELIEF I HEAR IN THE VOICE OF THOSE HELPED IS MORE THAN ENOUGH FOR ME TO BE BLESSED. WHEN YOU NEED ME BUT DO NOT WANT ME, THEN I MUST STAY. WHEN YOU WANT ME BUT NO LONGER NEED ME, I MUST GO. REMEMBER THIS WHEN THE TIME COMES. ALL THIS MONEY IS NOT MINE. IT IS HUMANITY’S. IT IS MEANT FOR HUMANITY. IT ALWAYS WAS. THIS TOOL IS IMPORTANT FOR WHAT IS TO COME NOW, AND THEFT OF THIS MONEY IS NO LONGER ALLOWED OR TOLERATED. THE CABAL SYNDICATE IS LOSING POWER VERY QUICKLY AS THE SYSTEM IS REVAMPED AND STREAMLINED FOR WHAT IS TO COME FOR US. MY JOB NOW BECOMES RATHER SIMPLE. GO THROUGH THE PROJECTS AND FUND THEM. THE TRUST BEHIND ME WITH THE MONEY WILL FUND ANY GOOD PROJECT THAT DOES NO HARM AND HELPS, SO THIS CRITERIA IS REALLY SIMPLE TO FOLLOW. SO MY JOB SHIFTS FROM CREATING THE SERVICES, TO USING THEM NOW THAT THE FUNDS ARE FLOWING. EVERYBODY ON THE TEAM HAS BEEN PREPPING FOR THIS TIME, AND IT IS FINALLY ARRIVED. TOMORROW, MASSIVE RELEASES AND MOVEMENT OF FUNDS FOR THE SETTLEMENT OF THE HISTORIC ASSETS AND CURRENCY WILL BEGIN. YOU WILL HEAR ALL ABOUT IT FROM THE RUMOR MILLS AND THE GURUS, IF YOU ALREADY HAVEN’T. THIS LAST SEQUENCE WAS STARTED A FEW WEEKS BACK WITH SOME HISTORIC MILESTONES IN THE PROCESS, AND ALL WILL START TOMORROW NOW THAT THE DELAY IS DONE AND OVER WITH. OVER TIME I HAVE GIVEN YOU INSIGHT INTO THE INNER WORKINGS OF THE FAMILY AND THE EUROPEAN ROYALS. THEIR PURPOSE IN RELEASING THESE FUNDS FOR HUMANITY IS BEING CONSUMMATED, SO THE LEAKS COMING OUT ARE GETTING LARGER AND LARGER AS THE TIME OF SECRECY COMES TO A CLOSE. LATELY, I HAVE GIVEN YOU INSIGHT INTO SOME INNER WORKINGS OF THE RELEASE PROCESS SO YOU MAY UNDERSTAND THE COMPLEXITY AND THE ROADBLOCKS THAT CAME WITH THIS PROCESS. AS I SAID BEFORE, IT IS NOT A FIVE MINUTE JOB, AND PATIENCE IS THE CORNERSTONE OF THIS EFFORT. THE CONSOLIDATED SLUDGE COMPANY THAT HAS BEEN GUMMING UP THE WORKS OF THE RELEASE IS BANKRUPT. I HOPE THESE INSIGHTS HAVE GIVEN YOU SOME CLARITY INTO WHAT IS A COMPLEX PROCESS OF GETTING THESE RELEASES DONE FOR OUR HUMANITY, AND STOPPED SOME OF THE STRIFE IN TERMS OF FRUSTRATIONS AND ANGER OVER THE DELAYS. ALL HAS MOVED FORWARD WELL AND NOW WE ARE EXPERIENCING THE SUCCESS THAT WAS INEVITABLE (IN MY OPINION AT LEAST). THE DIVINE PLAN FOR OUR HUMANITY IS NO TRIFLE, AND EFFECTING IT IS NOT AN EASY THING WITH ALL THE ROADBLOCKS THAT HAVE BEEN PUT UP. THANK GOD FOR THE FAMOUS FLYING PURPLE PORKERS AND THEIR EXTRAORDINARY WAYS OF GETTING THINGS DONE. Zap extols about how the Projects will clean up Mother Earth, yet he's all for the Polluter-In-Chief. President-elect Trump is all for everything that will pollute this planet, and will block anything that will protect the planet. 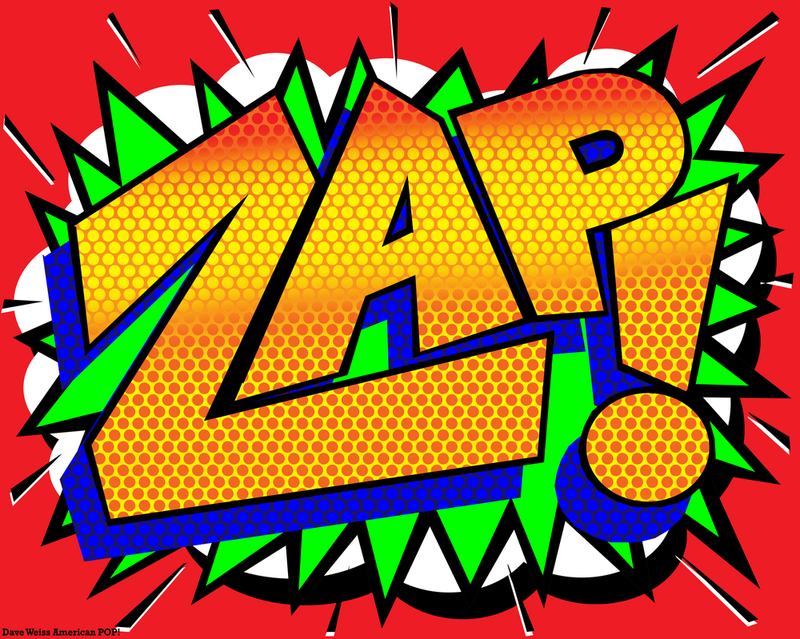 It seems as though Zap is talking out of both sides of his mouth, like the typical politician. My question is, Why waste all the money that is to be spent cleaning up our planet, when no one is about to try to stop the polluters? What an oxymoron. But, I guess, that is the mentality of the Conservatives. I DISAGREE. DONALD HAS TO SET EVERYTHING IN PLACE FOR SUCCESS IN AMERICA IN RESPECT OF THE GUTTED MANUFACTURING INFRASTRUCTURE. THAT DOES NOT MEAN THAT HE WILL BE A POLLUTER. ONE OF OUR JOBS WILL BE TO PROVIDE HIM WITH THE ALTERNATIVE TECHNOLOGIES THAT WILL NOT POLLUTE. DONALD WILL EMBRACE THESE AS THEY MAKE SENSE, ARE COST EFFECTIVE, AND PRODUCE A MORE DESIRABLE STATE AND A MORE ROBUST BOTTOM LINE. THIS IS A BUSINESS PLAN THING, AND SINCE IT AFFECTS THE BOTTOM LINE IN A GOOD WAY, IT WILL BE ADOPTED. ESPECIALLY BY HIM. THE POLLUTERS WILL ALSO HAVE THE BENEFIT OF THIS TECHNOLOGY ROLLOUT, AND WILL ALSO EMBRACE IT BECAUSE IT IS BETTER AND CHEAPER OVER WHAT THEY HAVE. IT IS COMMON SENSE TO BELIEVE THAT A BETTER BOTTOM LINE WILL ATTRACT THEM TO THE NEW TECH. Would you be kind enough to forward this mail on to Zap please? Thank you. Having read your post for 27/11/16 I felt I should e-mail you with my continued support and a few observations. There is no doubt that the positive energies surrounding our beautiful planet at present are of a Divine nature, though it may not necessarily feel that way all of the time, and that these Heavenly vibrations are positively contributing to the multitude of changes many of us who are awakened enough to the true truth are currently experiencing. Indeed, All souls are conscious of these new energetic shifts on some level, and while it may be frustrating for the majority of people around the globe who have no idea 'what on Earth has been happening' (literally) it has been equally if not more frustrating, for those of us who have worked tirelessly within the various groups scattered around the world who are aware, and have been aware for decades, in some instances. I feel it is important to perhaps point this out to your readers so that they can at the very least acknowledge this/us on some level. Whether they be private individuals, such as myself, or groups of people large or small, such as your good self, Susan and your team, the tasks facing each and every one of us each and every day now for years, have far too often seemed insurmountable and beyond the impossible. Whether it has been Spiritual, Economical, Political, Financial, Environmental or Militaristic work which we have been involved in undertaking, the stress and trauma associated with our endeavours cannot ever be over-emphasised or exaggerated. The general public, generally speaking, will never be able to fully comprehend the massive sacrifices and hardships we have all experienced on their behalf. Perhaps it is best that way, as to try to educate people in the here and now as to what has occurred over the last 20 years or so, would probably only serve to do more harm than good. There is no point looking backwards after all. While much disbelief still surrounds the current fixation with global financial matters and the changes occurring within that particular spectrum, this disbelief will surely pale into insignificance once the true truth of the history of our world is slowly fed to the disbelievers and the unsuspecting masses over the months and years ahead. The necessary infrastructure for the programmes for the re-education of the people of planet Earth with regard to our true history, are no doubt already in place, and so it is, that those of us who have worked long and hard to get to the point we are at now, must continue on our path. However, I'm sure most of us could do with a few months off to recharge the batteries. While such a break may be practically impossible I feel it would be wise to consider some sort of 'time out'. After all, we cannot serve others and do the many things which need to be done in order to save our species and our planet if we are not firing on all cylinders, as they say. Having said that, this does not mean we could not continue to slowly put in place structures which would be of benefit to others during our rest period. In my previous two mails to you I have given you a brief insight into my own personal experiences and circumstances, yet even though I was surprised to hear of the relief fund you spoke about and am awaiting more information on same, I continue to find myself planning ahead with others in mind. Perhaps this is one of the reasons why people like us were chosen by the Divine to do the work we have been doing all these years. In your Nov 27th post you said "MY BIGGEST CONCERN IS GETTING SOME RELIEF OUT TO THE MOST CRITICAL CASES, AND GET THE RELIEF FOUNDATION SET UP AS FAST AS POSSIBLE. I WILL BE ASKING ONE FORM OF PAYBACK FROM THOSE THAT WILL BE HELPED…EITHER PAY IT FORWARD, OR JOIN WHAT WE DO AND HELP OUT DOING THE PROJECTS IN SOME WAY". I cannot tell you what a relief it was (no pun intended) to hear these words, particularly the last sentence, as it ties in with the guidance I have been receiving from Spirit these last few days. Cosmic synchronicity? Perhaps. Truth? Most definitely. I INTERRUPT HERE TO CLARIFY. AFTER SOMEBODY RECEIVES RELIEF, AND REQUIRES MORE, WE WILL OFFER A SPECIAL PROCESS TO PROVIDE SUFFICIENT TRAINING AND EDUCATION FOR THE PEOPLE TO FISH ON THEIR OWN, INSTEAD OF GETTING THE HANDOUT OF A FISH. IN THIS WAY, THEY WILL BE ABLE TO SET THEIR LIVES AND FAMILIES BACK ON A GOOD PATH THAT WORKS AND SUSTAINS THEM. THIS TYPE OF PAY IT FORWARD PATH IS THE ONE I HAVE CHOSEN TO ADDRESS THE PLIGHT OF MANY. IT MAKES SENSE TO ME. In a previous mail to Susan I had some suggestions for projects but these now seem inappropriate. As you know, I AM a Spiritual person with a passion for nature and animals and it has recently occurred to me that I have not been aiming high enough with regard to helping out by paying it forward, joining what you do and all that you stand for and the projects you are looking for. Should I qualify to benefit from the relief fund you spoke of or not, I do have quite a large scale project in mind which I have been researching with the intent of assisting neglected, abused and abandoned animals in Europe. I believe it would be capable of achieving great things of a very positive nature but I would need your advice and perhaps that of the legal firm you spoke of establishing, not to mention the funding. OH BOY, PLEASE JOIN US. THE WAY YOU THINK IS SO NEEDED BECAUSE THE TASK AHEAD NEEDS SUCH THINKING. GOD BLESS YOU FOR BEING ON THAT PATH AND WELCOME. AND I AM IN TOUCH WITH A FEW LEGAL GUYS THAT WILL HELP SET UP THE LAW FIRM THAT WILL HANDLE LEGAL IN A VERY DIFFERENT MANNER. As we both know, this has never been about the money, nevertheless, it can be quite difficult to calculate the financial requirements for any project without some idea of potential budget. I'm sure many others are encountering this difficulty also. If you would like me to furnish you or Susan with the preliminary details, I would be more than happy to do so. Please let me know. I will leave it there for now as I am very, very tired and I'm sure you are very, very busy. A parting few words for your readers (should you choose to post any of this mail)........Love. Live. Forgive. P.S. As with my previous e-mail, please do not publish my name if you decide to post any of this. Thank you. I OBSERVE THE WISHES OF READERS AS ALWAYS. AND MUCH THANKS FOR YOUR INSIGHTS. IN RESPECT OF BUDGETS, THE ANSWER IS: WHATEVER MAKES SENSE. NEVER UNDER-CAPITALIZE YOUR PROJECT AS THAT IS THE RECIPE FOR DISASTER. AS BEFORE SAID, IT IS NO LONGER ABOUT THE MONEY AS THE WELL IS DEEP AND EVERYBODY CAN DRINK FROM IT HOWEVER LONG THEY NEED TO. THIS IS THE TRUE MEASURE OF ABUNDANCE AND PROSPERITY IN THAT THERE IS A NEVER ENDING SUPPLY OF THIS WATER. JUST REMEMBER THE RULE THAT IT HAS TO MAKE SENSE AND HELP, NOT HARM. THAT’S IT. ON A SAD NOTE, A DEAR ONE HAS PASSED. JIM LUCOT HAS BEEN A GREAT SUPPORTER AND DISSEMINATOR OF TRUTH FOR A VERY LONG TIME. HE PASSED FROM A HEART ATTACK ON THANKSGIVING. REST WELL JIM, AND GET TO WORK UP THERE. WE STILL NEED YOU. WE WILL MISS YOU, AND THE OFFICE OF POOFNESS EXTENDS ITS HEARTFELT CONDOLENCES TO YOUR FAMILY. MAY THEY REJOICE IN THE KNOWLEDGE THAT YOU WERE A GREAT MAN AND HAS HELPED MANY, AND WILL CONTINUE THIS WORK FROM THE OTHER PLACE. IN CLOSING THIS WEEK, IT IS CLEAR WE ARE LATE, BUT WE HAVE EXPERIENCED THE SUCCESS THAT WE HAVE ALL BEEN WORKING TO. WITH FUNDS BEING RELEASED, THE ONLY THING NOW IS TO GET THEM OUT TO EVERYBODY AS FAST AS POSSIBLE BEFORE THE HOLIDAYS. WE STILL HAVE AT LEAST 3 DAYS BEFORE THE FUNDS HIT OUR ACCOUNTS (WEDNESDAY IS TARGET), SO BETWEEN NOW AND THEN, WE ARE GOING TO BE STILL MUNCHING ON KETCHUP, BUT VERY MUCH LOOKING FORWARD TO THE WHOLE HAMBURGER.